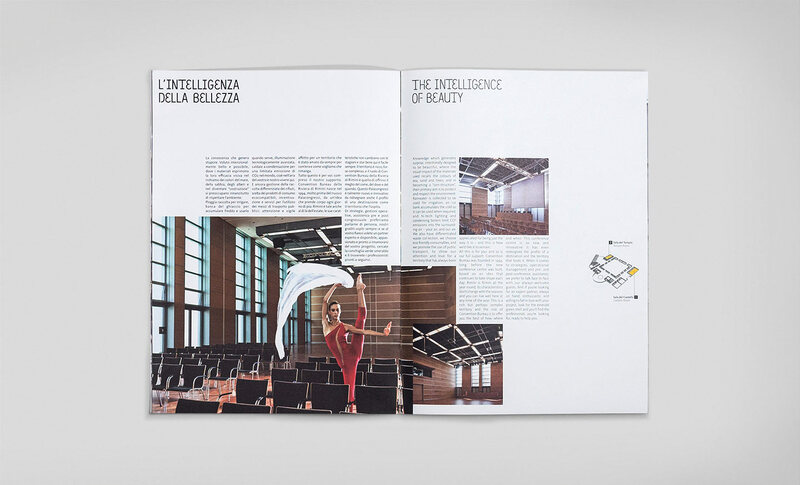 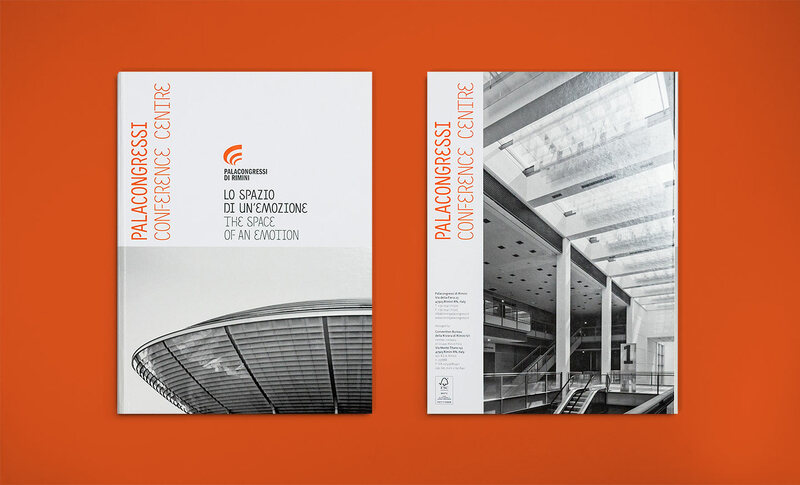 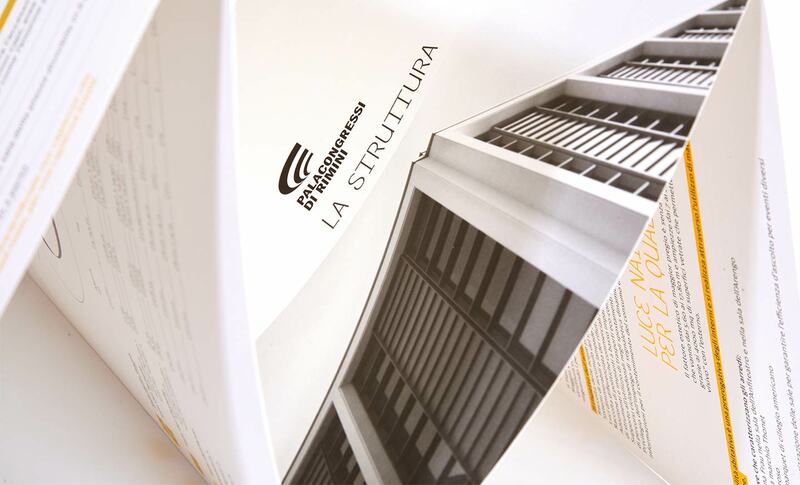 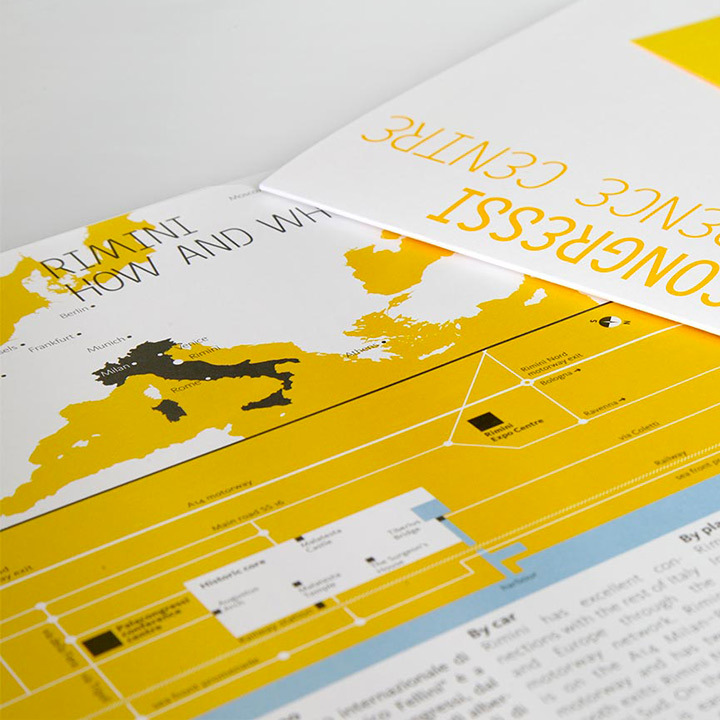 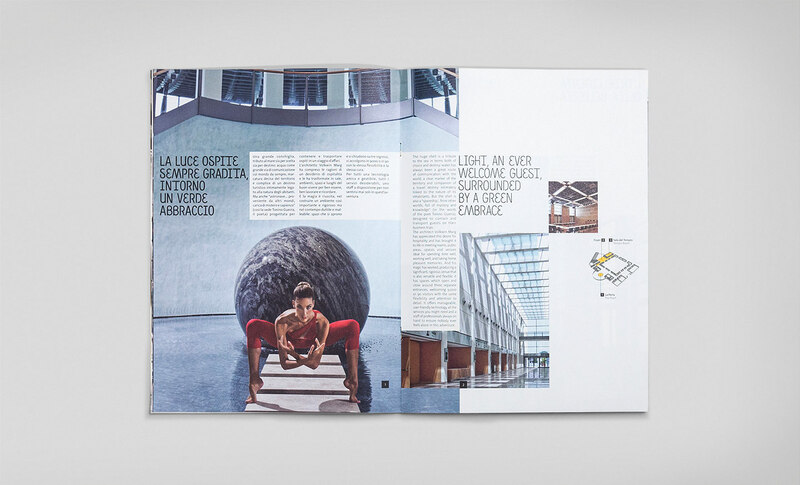 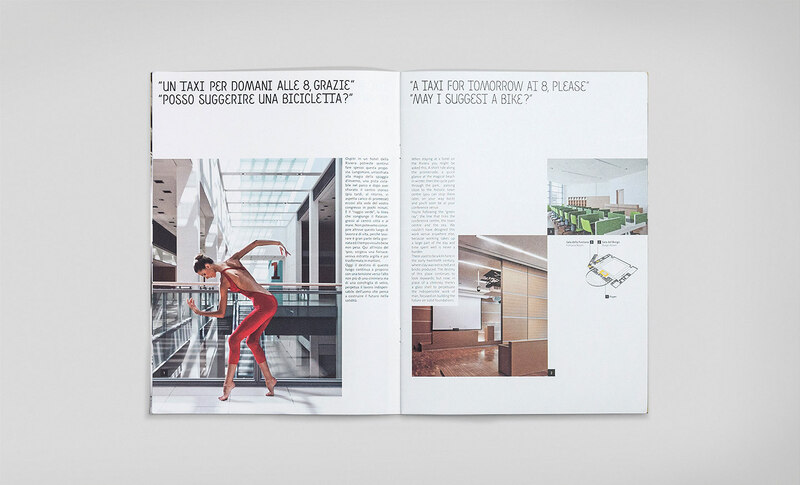 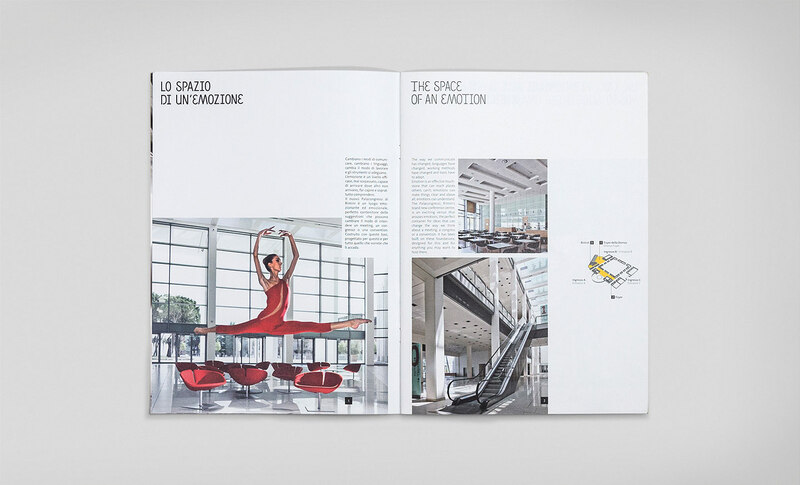 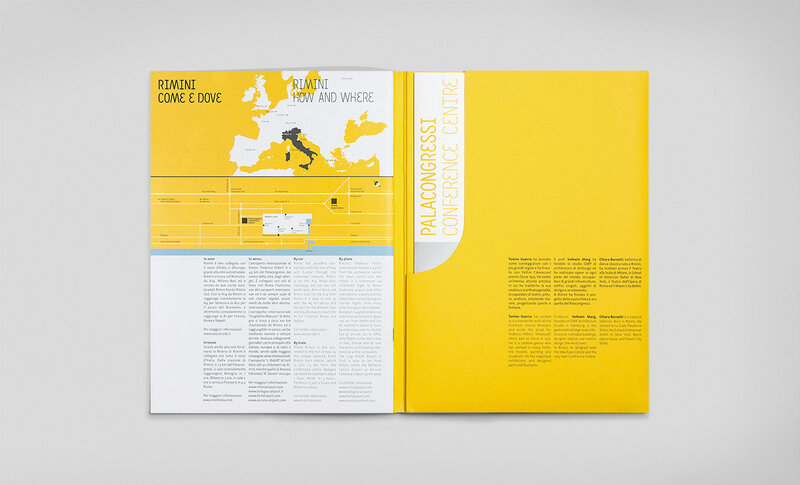 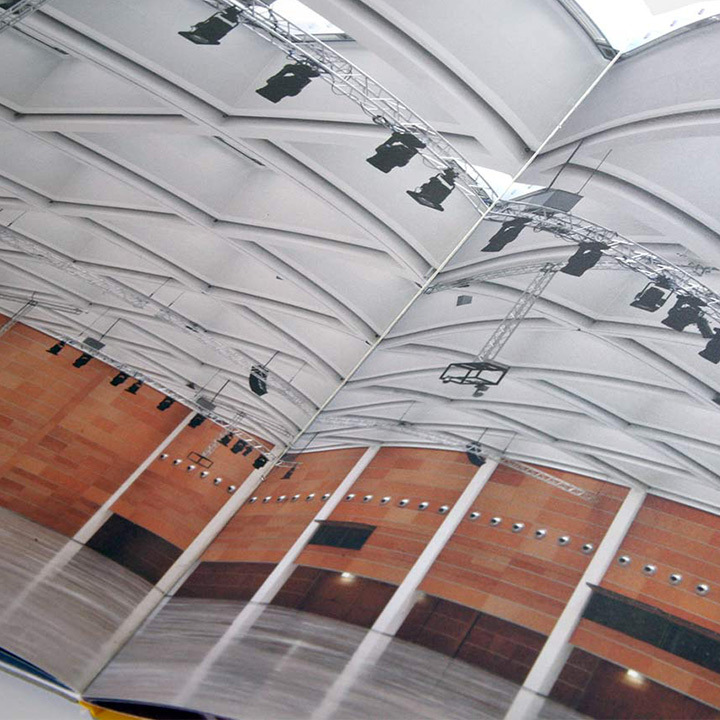 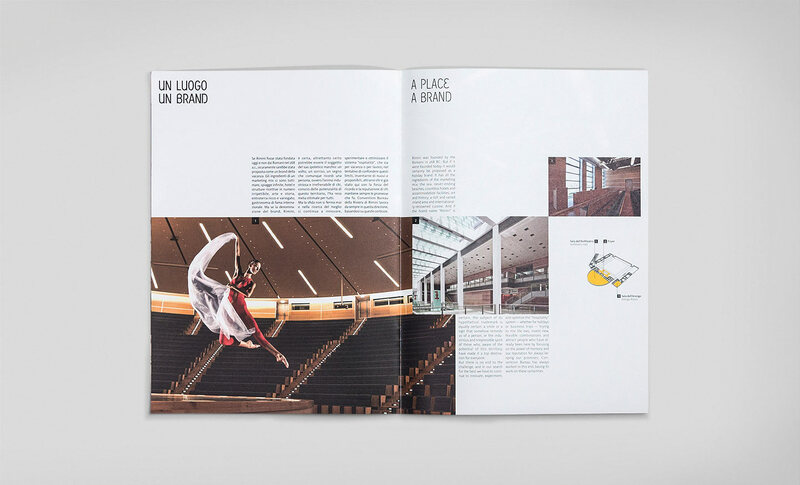 The institutional brochure was created for new Rimini Conference Centre, the biggest in Italy. 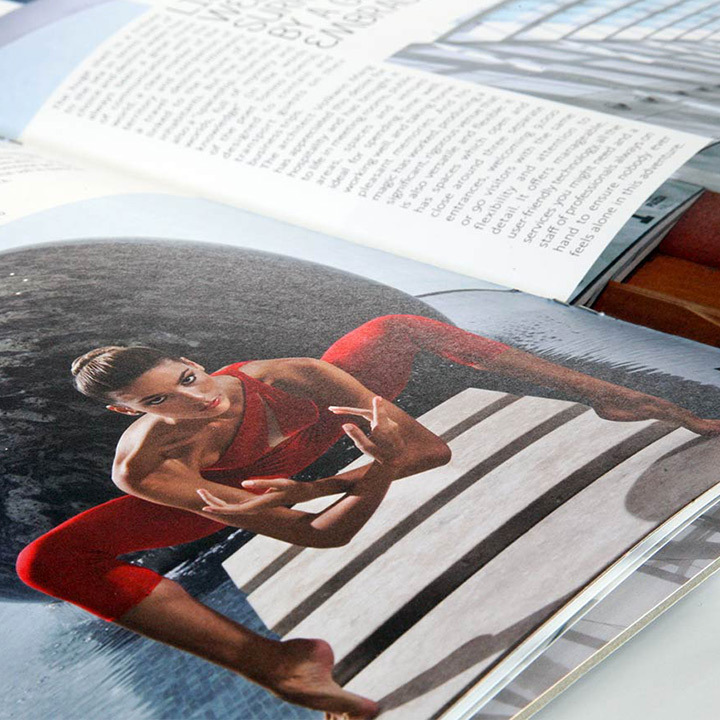 It is designed photos to rooms and halls with a ballerina. 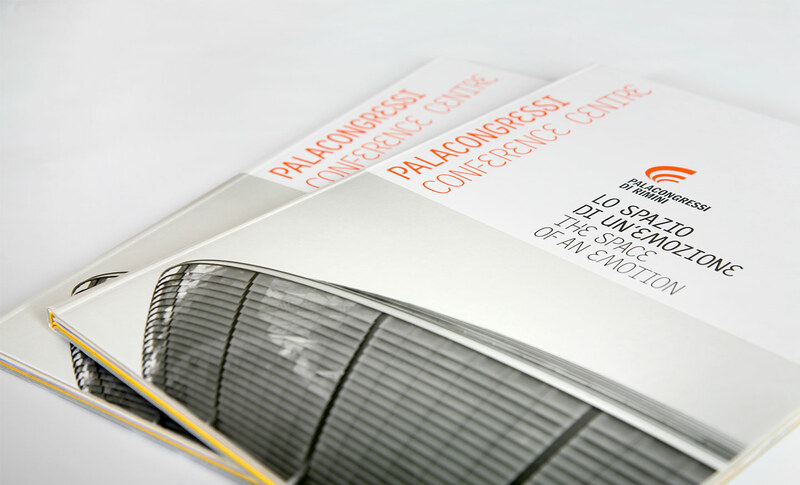 It was used the Palas Sans font, specifically designed for new layout. 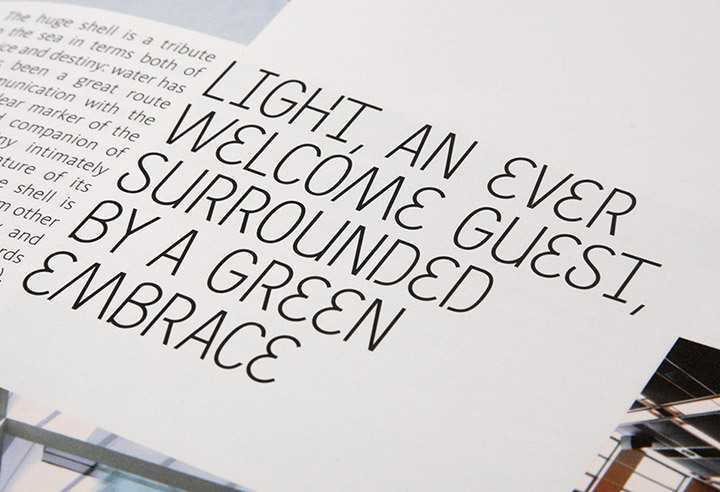 The font is a linear uppercase sans serif, semi stencil, composed by light and bold style used for titles and headline.